Lions are majestic creatures, and there is no doubt why a lot of people love them. They are very graceful to look at as they walk in the savannas of Africa—their golden hair shimmer in the sunlight, and they stand tall as if showing who’s boss. Considered as the king of the jungle, they prance around without fear, and when they have see their prey, there is no escaping them. Their majesty, grace, and poised characteristics are what makes many of us attracted to these creatures. 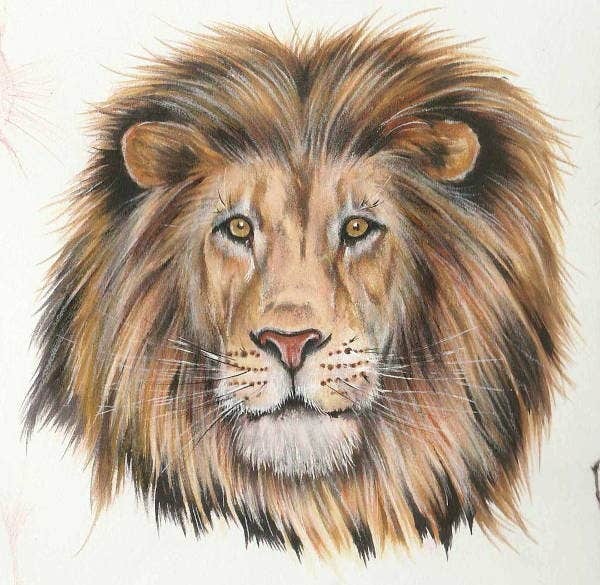 Which is why a lot of artistic designs such as tattoos, drawings, and paintings have the lion as a subject. Here we have provided for you some Lion Artworks that you can use however you want them to. We also have 3D wall art ideas from our website you could check out. Why lions? 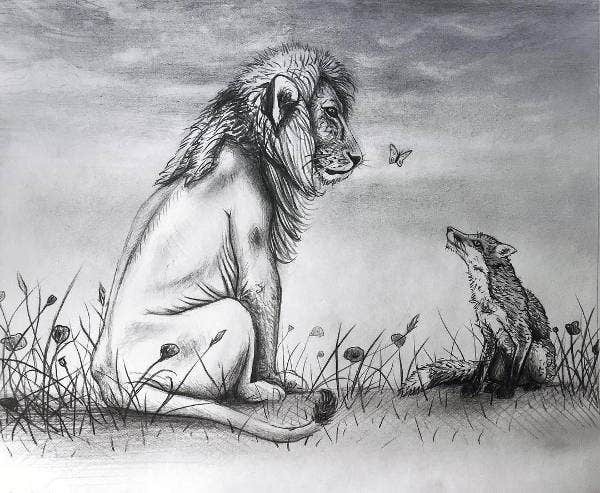 There are many features the lion has that makes them one of a kind. As a Christian symbol, the lion represents alertness and watchfulness. The most popular symbol of this magnificent creature represents royalty, stateliness, and a symbol of bravery. The lion is also famous in ancient Mesopotamia as a symbol of kingship. In the Puranic texts, a Sanskrit of ancient times, of Hinduism, there is said to be a half-man, half-lion named Narasimha, an incarnation of Lord Vishnu, who was worshiped by loyal people. Narasimha saved the child of Prahlada from his father who was a demon king. It just goes to prove the extravagant qualities of this fine animal that puts it on top of the list. 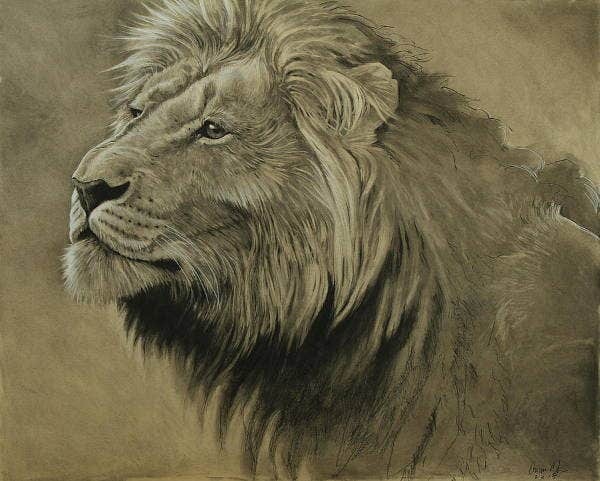 With all the greatness the lion possess, it’s no wonder its power is captured into art. 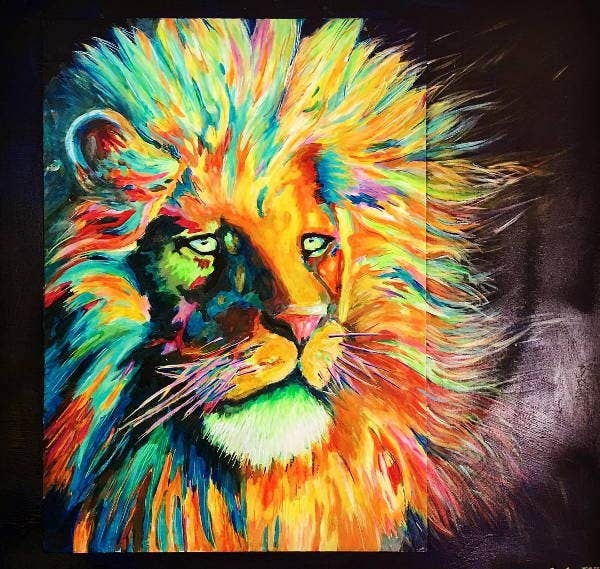 Abstract Lion Art. Abstract art could be your favorite and incorporating your love of lions with your favorite type of art gives it double wow factor. 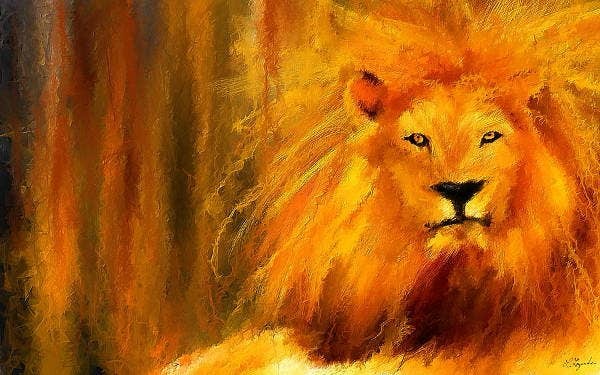 This art of a lion that looks like it’s melting with its background color of yellow, orange, and gold as it gazes at you with calm eyes can be used for anything. 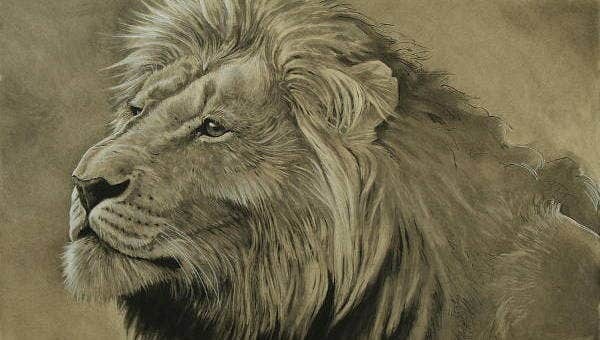 Black and White Lion Art. Maybe you are the person who likes black-and-white art. This type of art form would be the perfect one for you. This artwork somewhat looking like charcoal art is perfect to use as wallpaper or be hanged on the wall. 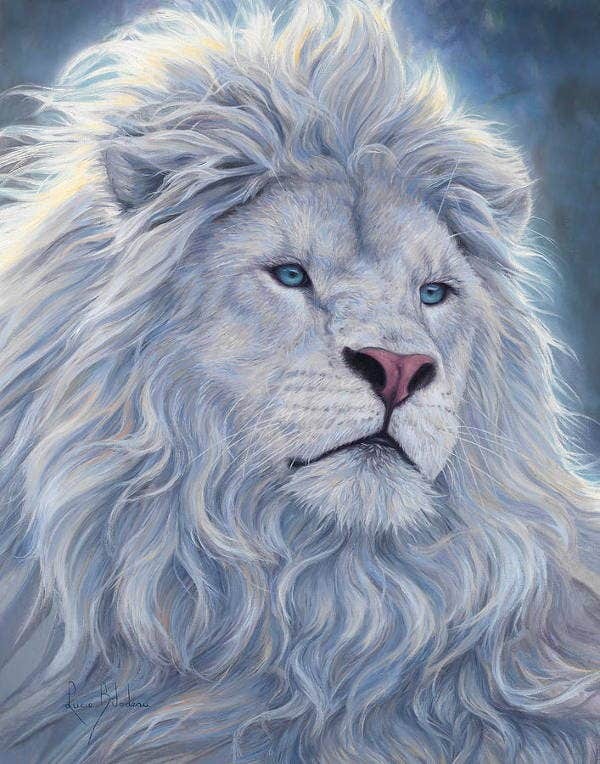 White Lion Art. Join the majestic aura of the lion with the purity of white. Mixed together, they make the artwork exquisite and one of a kind. It would definitely make you look twice. Lion Wall Art. 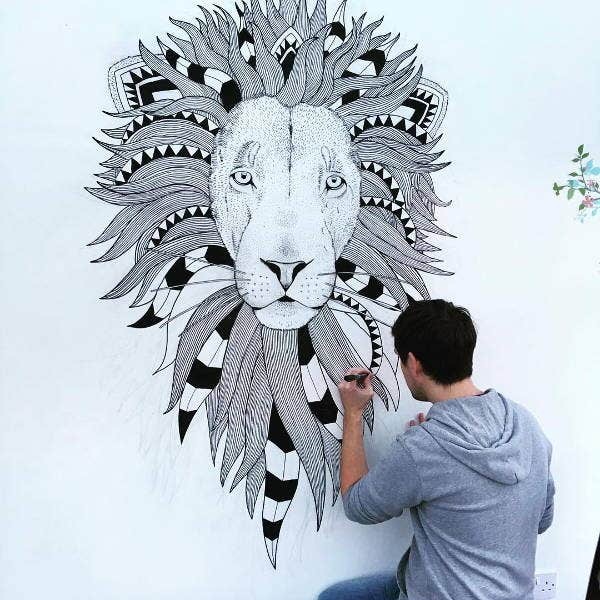 Raise your artistry to the next level with lion wall art. This type of art if self-explanatory as it goes best on a wall. Watercolor Lion Art. If you are a fan of watercolor art, this type of design is a treat to look at. 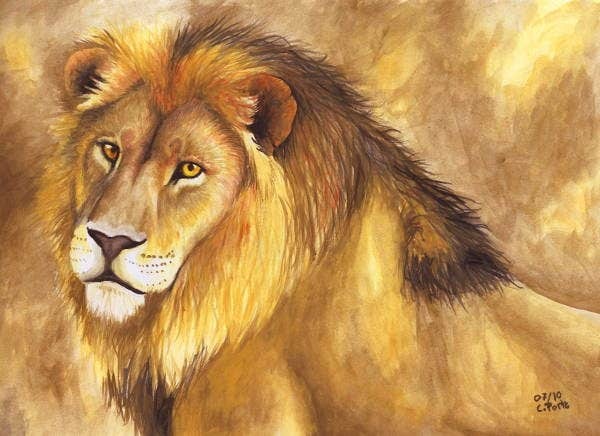 It is a simple art made from yellow, gold, and brown watercolor of a lion turning its head to look at you. Lion Face Art. 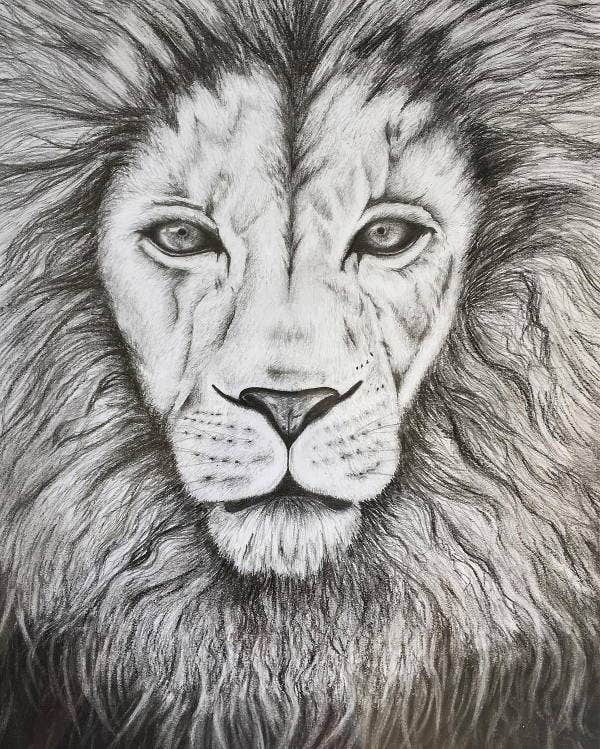 This work of art may only show an ordinary lion head, but what makes it extraordinary is the use of colored pencils, giving the lion head artistic and beautiful details. Lion Tribal Art. Tribal art is always intriguing to look at. Mixing it with a lion is phenomenal. 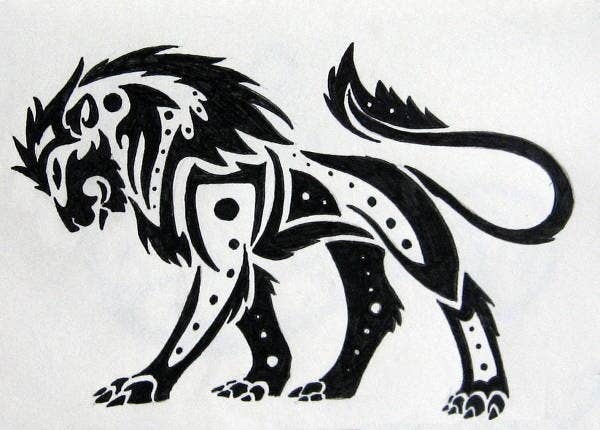 This is an awesome tribal art form of lion if using perfect lines that shape up the lion. You can almost hear the lion roar. You could also check out some doodle art. As with all our website’s designs and templates, they are all available to download and can be used as your personal or business website background, your device wallpaper, or even as posters in your room. These designs come in a multitude of high-quality, high-resolution formats so you could print these in whichever sizes you prefer. Aside from these works of art, our website also hosts a gallery of graffiti art you could check out and from which you could draw inspiration.